Beaucup meets his first monarch friend, Lenny, and learns how to soar. 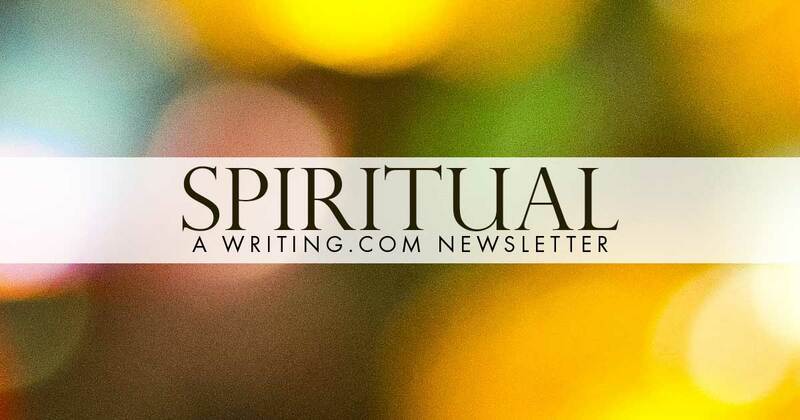 Hi, I'm Sophy ~ your editor for this edition of the Spiritual Newsletter. The Rev. Scotty McLennan, author of the book Finding Your Religion, compares humanity's innate need for spiritual searching to climbing a mountain. In his view, we are all endeavoring to climb the same figurative mountain in our search for the divine, we just may take different ways to get there. In other words, there is one "God," but many paths. I honor whatever path or paths you have chosen to climb that mountain in your quest for the Sacred. I have long believed there are sacred writings to be found throughout human history, and that what we consider “scripture” ought not be limited to antiquity. Indeed, it seems sacrilegious to insist that only one collection of writings (for each religion) is all we would ever need to fulfill our spiritual needs, as if no other divinely inspired thoughts have ever been penned since the canon was closed. Are we really to suppose God turned off the inspiration tap and no longer speaks to us, leaving us with only the words of the ancients to guide us? What of the early church mothers and fathers, the mystics and monks, the poets and novelists, the farmers or handmaids, Bishop Romero or Dr. King? Was “Letter from a Birmingham Jail” not inspired by the same Sacred Presence who whispered into the ears of Isaiah and Paul? A profound source of holy wisdom throughout my spiritual journey has been the exquisite poetry of Mary Oliver, who died last month at the age of 83. The world lost a sacred voice of kindness, compassion, love of neighbor, and care for the earth, as her words encouraged and comforted so many of us. Her poetry has been scripture to me on many occasions, and though she’s no longer alive, her work will live on as an inspiration for years to come. Some of her words are even more poignant in the wake of her passing. At the end of her most well-known poem “The Summer Day,” she asks “Doesn’t everything die at last, and too soon? What do you plan to do with your one wild and precious life?” This open question is a prayer, a call for each of us to experience life deeply, to aspire to the most authentic version of ourselves, to celebrate the wonder of being a creature upon the earth. I will always be grateful for Mary Oliver and pray she was able to claim those words for herself as her life ended, as I hope to claim them as my own someday when the time comes. Who are some of your favorite writers who enhance your spiritual journey? Or some favorite pieces of writing that touch your soul? Share them in the comments to this newsletter and I'll share them next month. Below you'll find some spiritual offerings from other WDC members. Please let the folks know if you read their piece by leaving a thoughtful comment or review. We come together around the real work of life to celebrate God's truth in simple moments. Entry to 2019 Dear Me Contest. Drawing on my Native American roots. Here are some responses to my last newsletter "Spiritual Newsletter (January 9, 2019)" about "The Fourth Wiseman:"
Very interesting article, Sophy! Certainly there is credence in your words; however, as a Christian and study of scripture, I look upon God's words and say within, "There are no "what ifs" in God's Kingdom, only truth. I have a story I'm struggling with. It involves a painting that reveals the viewer's inner soul but only to the viewer. I don't want to reveal too much as I have worked on this story for a number of years. What would we do if we saw ourselves as God sees us? Also as we work to perfect our selves, that would also change the picture, similar to Portrait of Dorian Grey. The owner of the portraits have been both blessed and cursed down through the past 2,000 years. I love this idea - what a wonderful thought to be able to see ourselves as God sees us. Thank you for sharing this. Those Who are in darkness need to see the light. This story reminds me that when we serve others we serve Jesus. Generated in 0.45 seconds at 6:56am on Apr 25, 2019 via server WWW1.